Photo Writing - Exploring Photography. : Why Post-Process? Of course it was done in Photoshop! Last year I participated in a project with a teacher wanting to show her class how anyone can be made to look beautiful through Photoshop. The result was a short video of the the transformation that she went through in Photoshop (which can be viewed here). The thing that often surprises people though is that the art of post-production has been around for a lot longer than Photoshop, or even digital photography for that matter. It’s the seeming ease and apparent perfection that is now attainable that make Photoshop and post-production in general persona non grata. Here I also have a confession to make. In my younger, more impressionable years, I also tended to look sneeringly at the use of Photoshop in imagery. I would condescendingly proclaim in my youthful ignorance that Photoshop was not real photography and that it should all be done in camera. I’d say this just before disappearing into the darkroom that was my haunt through university, in order to manipulate an image to death under the enlarger. The irony, which I idiotically didn’t notice, was priceless. Under that enlarger lens we could darken tones, lighten skies, remove whole objects potentially, composite negatives, and even smooth skin. After printing we’d then spend even more time ‘spotting’ and etching to remove other minuscule irregularities (I was never particularly good at the whole darkroom crafts thing, but it didn’t stop me from trying). How is this not the same as Photoshop, just done chemically rather than digitally? Just because it was done by means of light and chemistry does not make it more real than when crafted on a computer. Which brings me to the oft repeated statement that one should simply do it in camera. The response to this is a personal one, as there is no right or wrong way to approach photographic methodology. My personal approach to the use of the camera is to capture as much information and detail as possible through the digital medium. This means I want as much dynamic range and detail as I can achieve. I tend to strive for maximum ‘data’ with which I can then decide how I want that ‘data’ to be rendered. This is not that dissimilar to the zone system espoused by both Minor White and Ansel Adams. It is also the same approach that I tended towards when shooting on film (ironically it is only now as a digital photographer that I find myself drawn towards the old ‘grainy’ emulsions). When I was shooting on film prior to working digitally I tended towards low ASA high rendition films like Fuji Velvia 50 and Provia 100, Kodachrome 64 and Ilford Delta 100 and Pan F. I then shot the films in order to have the best middle exposure so that more work could be done under an enlarger. I never really managed to get into the zone system (which really necessitated a large format camera), but applied the tenets as well as I could to 35mm and roll-film black and white photography. A good exposure tended to have a range of tones from just above pure black to just below pure white. The point is that the capture of the image was only the first step of the process. Even with slide film, the realisation was that the image would have to be printed or digitized at some point - this is what saw me shifting from Velvia 50 and it’s saturated colours to Provia 100 which had a similar grain structure but was more easily scanned. Not to put too fine a point on it, but the camera craft is only one aspect of the creation of the image - probably the most important part - but not the only part. 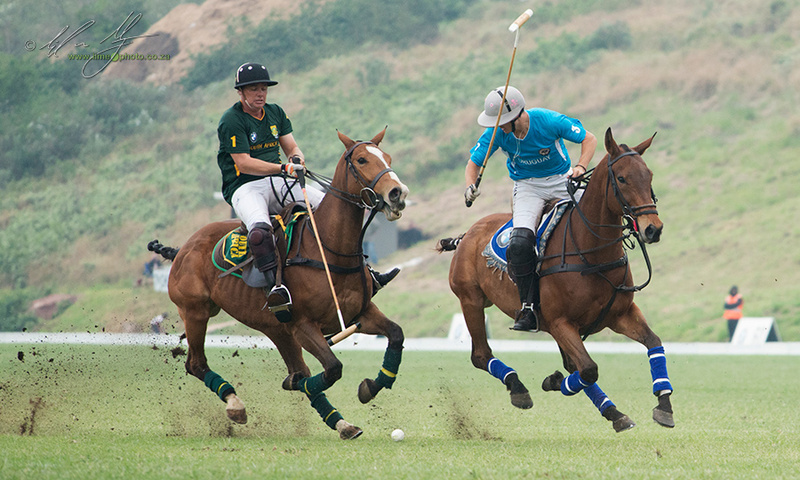 Covering the BMW international polo test between South Africa and Uruguay was essentially a journalistic brief. The images were still edited through Lightroom. This is acceptable in theory, but still is not the same as 'exactly as the camera saw it'. What are you as a photographer? This is something that every photographer needs to consider when they think about photography and post-production. If your role is merely to record, then the use of post-production is probably anathema to you. This starts to unpack why the World Press Photo Awards have had to tighten their attitude towards the use of Photoshop. Are photojournalists meant to be visual recorders and witnesses to events, or are they meant to portray events so that their subjective impression is put forward? For the most part, the ethics revolving around journalism weigh in on the former. In a perfect world a journalist is an objective observer and reporter of events (I write this in full realisation of this particular rabbit-hole down which one can argue whether a photograph can do anything but lie). There are two problems facing digital photography as a recorder of the real then. One, the camera does not see what we see, and; two, any attempts to get the camera and image to portray what we see with our eyes invariably involves post-production. Simplistically put, the digital camera’s sensor is designed - as well as currently physically limited - to have a particular response to light. The way it records that light and turns it into an image is mediated by developers and technicians who have worked out response curves, colour palettes and various other criteria and parameters for how an image should ‘look’. What we see is not what we get. The simple fact that we can change ‘picture styles’ in camera is indicative of this. Even selecting something like ‘camera faithful’ or ‘flat’ doesn’t give us what our eye’s see. The result is that we have to turn to post-production. 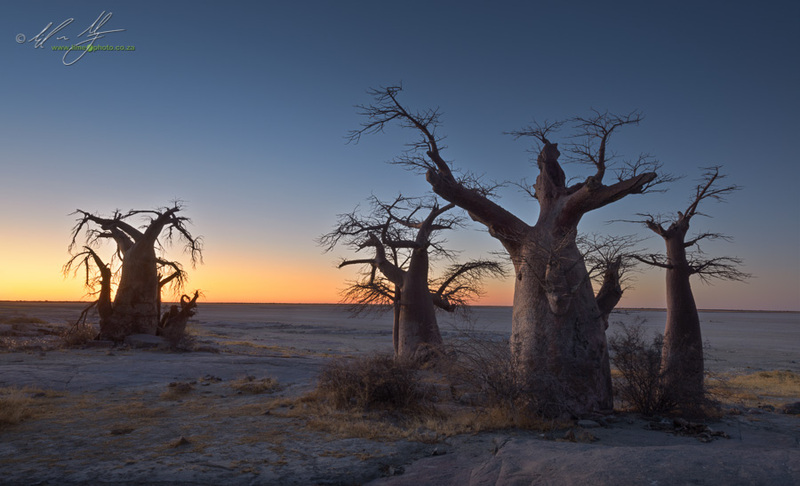 As a journalist, post-production is used to once again show the world as the journalist potentially saw it (in as much as tonal values and colour can be seen). As an artist, post-production is used to convey a sense of the moment, or even a sense of emotion. To say it was all done in-camera is naive. Sure, there are photographers who choose a particular look out of camera. Fujifilm has a very strong following amongst a certain segment of photographers because of their straight out-of-camera jpegs. These photographers choose the camera because of the way it renders the scene, not because it is realistic in any way. They choose the camera settings in the same way that they would have chosen a film type…because this is the way they would like the image or scene portrayed. 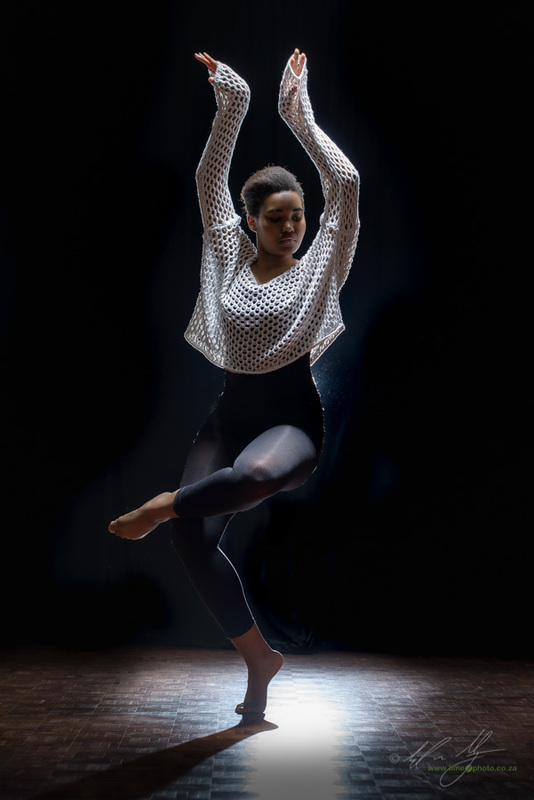 A recent image from a dance shoot. Although the image was lit purposely, it still required Photoshop to recreate the 'feel' of the dance. I choose to process my images such that a mood is conveyed (I hope) across to the viewer. I attempt to get something of the essence of the scene as I conceive it across to the viewer. Naturally this means I am not a photojournalist. I don’t pretend that I am depicting reality. A ‘visual-story-teller’ is what Steve McCurry recently, and rather controversially, called himself, rather than a photojournalist. Personally I don’t see anything wrong with this moniker. In fact, I suspect there are a lot more ‘photojournalists’ peddling their images as ‘THE TRUTH’ when in reality they too are ‘visual story-tellers’. Some choose to tell a story through careful choice of lighting and lenses, others with intensive composites of images (like Stephen Wilkes ‘Day to Night’ series of images which rely on hundreds of frames being carefully composited together) and careful use of programmes like Photoshop. In some cases reality itself, or at least what we imagine reality to be, relies on Photoshop. Extraordinarily detailed macro images of insects require multiple images at different focus points to be stacked together so as to create a rendering of the insect that has more than a fraction of a millimetre in focus. Without this technique we simply cannot create images that show the insect in detail sufficient to actually study the subject. For certain types of photography, post-production and Photoshop are absolutely essential to be able to render either so-called ‘real’ or ‘artistic’ imagery. So yes, of course it was done in Photoshop. Maybe it’s time we owned it. Viewers are becoming increasingly aware of the power of image editing (if they aren’t already). Right now there is the assumption that if a photographer has used Photoshop, and admits it, they have somehow faked the image. This creates a negative perception around the role of Photoshop, making it that much harder for photographers to admit to the use of the programme (or similar programmes) despite the fact that the majority of been through some form of post-production or other - not necessarily Photoshop, but image editing of some form or another.